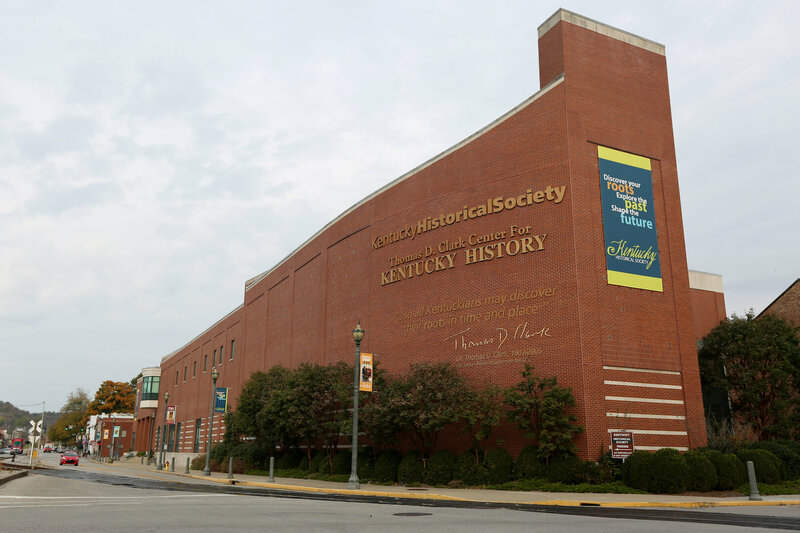 Nestled in historic Frankfurt, KY, the Kentucky Historical Society (KHS) is housed in the Thomas D. Clark Center for Kentucky History. This 167,000 sq. ft. facility features a museum, research library, store, offices and event rental space. 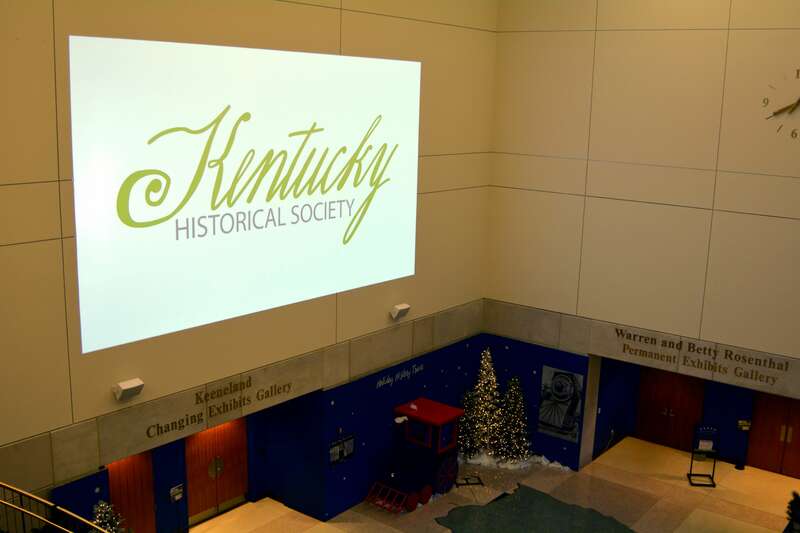 KHS can accommodate special events for groups up to 200 people—from business meetings to birthday parties, weddings to family reunions. One of KHS’ most prominent spaces is the two-story, grand staircase foyer area, which visitors see when they first walk into the building. Used for general visitor traffic, as well as event space, this area serves as a highly visible location to promote Society events and information. The challenge, however, was the two-story design of the room, and difficulty in changing static banners or signage on a regular basis. 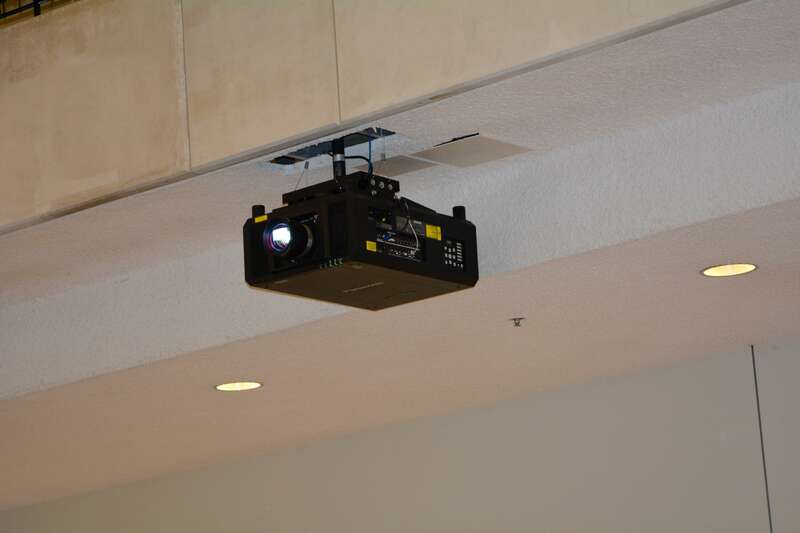 Solution—Trinity Video recommended and installed a large format projector to display information, images and video onto a large-scale, second-story projection screen. In addition, Trinity added audio capabilities for a much more immersive environment with sound.